No one’s more disappointed than me by the recent changes Incisive Media is making to the ClickZ and SES brands. Search Engine Strategies (SES) NY was the first search conference I ever attended, back in April 2004. It was the first SES conference in NY after 9/11, and inside the palpably hopeful and renewed NYC, there was a large gathering of online marketers (we actually called ourselves SEO and PPC experts back then) who knew that even as the world was undergoing a significant change, we were a part of an exciting new frontier. The excitement of being back in NY for the first time in 4 years was electric. That conference, led by the incomparable Danny Sullivan, was a powerful symbol to me of the search community. I felt like I was “coming home” as I met so many other like minded individuals and assimilated a massive amount of new information from amazing people like Bill Hunt, Heather Lloyd Martin, Dana Todd, Greg Jarboe, and Christine Churchill. I knew that someday I wanted to be one of those subject matter experts – leading and teaching. My dream wasn’t realized until several years later, in 2007, when a new conference series (Search Marketing Expo) gave me a shot at the Local/Mobile conference in Denver, CO. But I was bitten by the bug, and I’ve spoken at at least two conferences a year ever since. I love speaking. While I won’t lie that it has big payoffs in terms of visibility and eventual work (as a consultant, I’ve got to hustle my work myself), what I love most about speaking at shows is the opportunity to teach. I would have been a teacher if there was any money in it, and in fact, I substitute taught while I was still in college. I love the opportunity to debunk myths with facts; to encourage young minds to question, test, and think for themselves. Speaking renews me and helps me focus on what I love most about my work. Over the years, I’ve made great friends from speaking at conferences, and I feel a connection and camaraderie with my fellow search marketers that I don’t feel anywhere else. We support each other and in many ways, we’re like a giant family. Speaking gives me the opportunity to reconnect with my search family. Search Engine Strategies has been a big part of that over the years. Unfortunately, as our once little family expands into new disciplines and an ever expanding level of influence, the conferences have become harder to plan. The once highly successful expo halls (NYC once had 3 floors of expo hall!) became less and less successful for the vendors as the audience diversified and became more and more experienced themselves. The speakers had a harder time appealing to the wide variety of attendees. And of course, with the massive recession beginning in 2008, the sponsors became fewer and harder to procure. All of this has led to a difficult situation for the conference coordinators. They have to adapt, but none of them seems quite sure how to do it. Incisive Media is reportedly exploring two paths that work in other industries, but I don’t believe will ever work in ours. The first is the expanded ClickZ Live show – the replacement for the once large regional SES show. They’ve instituted a pay to play system where they’re planning to require “vendors” (loosely defined as those who offer services) to pay to speak. This is a dangerous path; the very idea that sessions are in any way sponsored will create a stigma around the content, even if they do manage to keep it good quality. However, the best speakers (the ones I mentioned before, and very popular vendors like Dixon Jones of Majestic SEO) will likely not agree to pay. I hope that they do not. As speakers, we’re already providing free content and paying our own way (most of us) for hotel and airfare. If they start requiring speakers to pay, I’m out. On an ethical level because I just don’t agree with it, but also on a practical level because I can’t afford it. I already have to carefully pick and choose my shows because of the aforementioned travel costs. As a consultant, I work with big brands every day. Huge brands, in fact. The type that Incisive would give their eyeteeth to talk to. But I also have a highly confidential practice. These brands reach out to me because they trust me to keep my involvement with them confidential. There’s a reason I don’t have brands listed on my website. While some of them would likely agree to let me use their names, I don’t want to do it, and here’s why. If I give the impression of being someone who lists out brands, or who names brands in presentations, I run the risk that I will lose potential clients’ trust. They need to see me as a highly ethical individual who keeps quiet about who I work with. I have existing clients that I would most certainly lose if I were ever to name them. That’s simply too big of a loss to risk in exchange for a conference where I either lose money to spend my time and fly there or where I would even have to pay to speak. It’s a lose/lose situation. And I doubt I’m the only one. So I’m not declaring an irish funeral yet, but I sincerely hope Incisive Media rethinks their position on this. If they lose quality speakers and content, they will lose attendees. And I don’t see how they won’t lose quality speakers with this change. I’m not a major voice, but mine is raised with an awful lot of others who are. “Thanks for your email. I’m not available for the Denver conference because I’m speaking at [redacted] the week before. As it is, I’m extremely uncomfortable with the way this conference series is headed – pay to speak or bring a brand. As a consultant, my clients are often very large brands, but they count on me to keep their identity confidential. I am not willing to compromise my ethics for a speaking slot where I provide free content that I already don’t get paid for. I’ll remain hopeful that those values will change. Thank you Laura for taking the time to respond. We’ll reserve any further judgments until things are clarified. I also pitched for SES Atlanta recently and was quite happy to receive a call from a representative who seemed very enthusiastic about the content and knowledge I could offer. The representative made it quite clear that my company would be expected to pay a sponsorship fee if I were to be given the opportunity to speak. This is not what I would call a nominal fee. To make it worse, the number of attendees quoted was 150 – 250! Given that we are a SaaS vendor whose product is low cost and historically of interest to less than 20% of a general conference audience, it doesn’t take a genius to figure out that would be a significant over investment. Not sure if someone made this clarification as previously but Danny Sullivan parted ways with SES many many years ago. He went on to create SMX along with Third Door Media and those shows are heads and tails above the SES conferences. I know that there is a lot of controversy when it comes to speaking fees, which is to say that some speakers at these events are paid while others are not but it absolutely floors me that any conference organizer worth its weight would attempt to request payment from a speaker. I’ve known for awhile that SES conferences were going downhill. The search conference industry as a whole has seen major setbacks but asking speakers to pay their way just spells doom for the organizers. It also leads to a frenzy of sessions that become little more than advertisements instead of actual knowledge fountains. Good luck to ClickZ but it sounds like a last gasp of a dying organizer. Thanks for the comment Jonathan, and the clarification on Danny Sullivan’s involvement, which as you correctly noted was limited to the early days. ClickZ has posted a “clarification” on their website, but I’m still quite skeptical. I’m currently working on a followup post that will explain more what I mean. I’m not actually familiar with the speakers’ fee, as I wasn’t asked to pay the fee. Not sure, either about the comment about this not having SEO content. I’m speaking on the “Assess. Diagnose. Fix: How to Become a Leading SEO Mechanic” panel on Thursday here in Toronto, and will have plenty of SEO Audit content. There have been two other conferences where there have been fees asked by the conference organizers to speak: one was the Digital Summit series (if you sponsored you could be put on a panel but that’s not a speaking fee, really). Then there’s DomainFest, who flat out wanted a fee to speak about SEO and social media marketing. Hi Bill, thanks for your comment. I don’t think the proposed/alleged speaker’s fee is going into effect until after the Toronto show. Wow. I have to say, I am extremely disappointed by the changes to the former SES shows. I have always preferred the SMX content, but being near Toronto my options for local shows are limited; SMX isn’t returning this year, and SES has always drawn a larger crowd here. I had briefly consideredn pitching ClickZ Toronto, but when I took a glance at the agenda I found that there wasn’t a single SEO session. I didn’t look any further at pitching, and I’m shocked to hear they require speakers to pay! Unfortunately there are so many generic “marketing” conferences out there that I have no desire to attend another one. Tony I think that would have floored me too – asking people to pay to speak at all is gobsmacking, but to ask for 10k dollars? And as Jenny said, especially when you have been so supportive in your sponsorships. Even if you hadn’t though, that is well beyond comprehension for me. $10,000?!?!?!?!?! I’m honestly speechless. If I went to my company president with a speaking proposal that COST ME $10 grand, she would probably fire me. I honestly thought it would be in the range of hundreds – but never 5 figures. Who on earth do they think would pay this kind of money to speak and actually be worth having on a panel? What can I say, I’ve always had fat fingers….no jokes please! Haha, no harm, no foul. As you can see, your comment has touched off a bit of a tidal wave. Well said. I received a call from Incisive about a speaking proposal I sent in quite a while ago. Like you, SES was where I started speaking about search, and I used to love that show. I hadn’t been in about 2 years, and I thought ClickZ San Francisco would be a good one to get back into the show. Yesterday, I received a call from a rep at Incisive asking about my speaking pitch. I was a bit taken aback, because usually they just send you an e-mail telling you that you that you are selected as a speaker. The rep told me that she thought my pitch would fit. I was happy. But then she told me that I would need to pay to speak. The cost would be $10,000. I was floored. I told her that I might consider sponsoring the show (as I’ve done with Pubcon and SMX), but I hadn’t been to a “ClickZ Live” show and would need to see the show before I would sponsor – but I would NEVER pay to speak. In fact, I frequently require a speakers fee for non-industry conferences. People PAY ME to speak. I speak for free and support industry conferences because I love this industry. Pay-for-play shows are usually horrible. There is a place for Pay-to-play speaking – for instance if you are demoing a new product or service to a specific audience. And most of the industry shows do have “sponsored sessions”. I think they are, for the most part, appropriate. But the people with the real knowledge of what it takes to succeed in our industry will not pay $10k to teach others how to do it. I do get business from these shows, but it usually just covers my travel expenses and sponsorships (if I do them). I think that Incisive has NO IDEA how to run this show. I would encourage them to sell off the show to someone that can run it effectively. I think that Mike Grehan leaving may have been the last nail in the coffin and the show will be gone if they don’t sell it soon. Hey Tony, “Jen” here. 😉 Thank you for sharing your personal experience. I am shocked that they would ask you. I mean, you have supported the conference by being a valued speaker since its inception. Clearly the remaining coordinators don’t know who their biggest supporters are. Jenny – this was a great read. I agree with your response to Larry too. I think more conferences need to recognize the effort that speakers put in “their” conferences. If they are going to ask for fees or sponsorships (which is a trend), they are going to lose the high quality speakers. I am sure you are the same, but I am to the point where I am juggling my schedule, if they ask me to pay a fee it will only help me decide where to speak and where not to. Heck I get paid a fee for about 24% of my speaking as it is. Very well thought out post, Jenny. As someone that has followed a similar journey, I remember well attending those first conferences and industry events to help build my own knowledge. And it has paid dividends many times over in my career. Even when I’ve had the opportunity to speak at events, I make certain to take as unbiased an approach as possible so that those in the audience know they are not getting a sales pitch. Unfortunately, ClickZ seems to be in desperation mode and this move doesn’t help to convince otherwise. And in the end, it cheapens the quality of the event to the point that they become less about sharing knowledge and more about networking. Not that networking isn’t important, but as you’ve pointed out, this space is still relatively young and with a rapid rate of change, it is still a chore to stay up on the latest developments and that’s the space that high-quality speakers fill. Thanks for voicing your concern that is clearly shared by many. Thanks for your comment Jon; I appreciate your support, and I completely agree with how you approach presentations. You are a fantastic speaker; it’s a wonder why you haven’t done SES/ClickZ yet. My apologies for not replying directly. I have tried, but it won’t do that for some reason. Second to Larry’s post I agree with your reply Jenny – completely. It is already weighted to the be more beneficial to the conference than the speaker and I have no guarantee of leaving with a client, plus I can go to other conferences and do the same and not be asked for money or brand pimping. Also, to add if you have people pay you will get commercial sessions as speakers will feel it is their right now that they are paying for their sessions. This makes for bad content and a bad conference experience. Finally, to add whatever their response is tomorrow on Webcology this did happen. My hope is however, they will dial it back and return to standard conference promotion. SESSJ was my first experience and SES always feels like home (whether called ClickZ or something else) To lose that would be like losing a touchpoint in the industry. However, this model cannot IMO be supported. I hope we hear better news tomorrow. In the great tradition of the cobbler’s shoes, I haven’t figured out how to fix the “reply” link yet. Guess I better do that today. Thanks for the additional insight and comments. Thanks for speaking out about this. I’m fairly new to the conference scene myself, having attended three times and spoken once at a different conference (Pubcon). 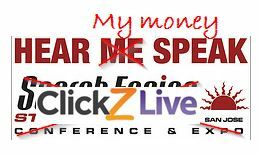 However, this year, due to budget constraints and timing issues, I will instead be attending ClickZ Live in Cleveland (just attending, not speaking). It concerns me to be supporting an organization that operates this way. I have to say that the actual wording you provided from SES/ClickZ Live is a bit vague, but it sure does seem like they are asking for either money or leads in exchange for speaking. If something doesn’t change, this will probably be my first and last time attending ClickZ. Thanks for your comment Jason. Let’s not be too quick to judge; no one from Incisive has commented yet. I am hoping this was just a lark that they decide against. just playing devils advocate here. You acknowledge: “While I won’t lie that it has big payoffs in terms of visibility and eventual work” — given that there is an economic benefit associated with speaking gigs, whats wrong with them asking for a nominal fee in return. After all, i imagine it’s not cheap to pull off these events. You know from speaking yourself, there’s a lot of time and cost investment in a speaking gig already. You have to pay to travel there and stay there, but you also have to spend time that you could otherwise be billing generating content for your presentation, helping the conference build buzz, and then following up after the fact. Not to mention the 1-3 days you spend out of the office. In exchange for that time and effort investment, the conference coordinators get excellent content and known speakers they can use to sell tickets to the show. I would argue that this “arrangement” is already weighted in favor of the conference, not the speaker. Asking for a fee on top of it is unconscionable. Thank you for your support Kristine. I want to wait until ClickZ provides a response before I make any decisions about how I’ll treat the conference going forward, but just the fact that they started to do this without asking the community how we felt about it was disturbing enough for me to write this post. I hope they’ll change their minds.